Llámanos al 1-877-571-4744. ¡Te atendemos en español! Children’s channels are essential to your TV package, so DishLATINO provides you with the best options to keep the younger members of your household entertained. Whether you have toddlers or older children, you will find the best options to meet your needs. DISH also offers parental controls that are easy to use and allow you to keep track of what your kids watch on TV when you can’t always be there with them. DishLATINO TV packages offer hours of entertainment for the whole family with channels in both English and Spanish. Your children can watch their favorite cartoons on Cartoon Network, Disney Channel, and Nickelodeon. You can also enjoy family shows and movies in English and Spanish with channels such as Discovery, in addition to many others, depending on the package you choose. If you have babies or toddlers in the house, you will also need to keep them entertained. With the Baby First and Baby TV channels, you will have access to shows in English specifically for babies and toddlers. Cbeebies also offers baby and toddler shows 100% in Spanish. With entertaining and educational shows in both English and Spanish, your child will be able to listen to and learn both languages. With DISH parental controls you can choose which types of shows your children can watch and set limits on their viewing time. 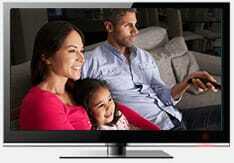 DISH offers several types of parental controls. These include rating-based controls, channel restriction controls, and Pay Per View (PPV) restriction controls. The interface for these controls is very user-friendly because it allows you to easily see which channels are blocked, giving you peace of mind about what your family watches on TV.